Compared to the other humanities, cinema is considered by most to be a relatively new form of artistic expression. However, the essence of cinema is storytelling. Therefore this art form actually predates the others. Those somewhat familiar with storytelling's landmark achievements have now been honoured with another. I write about older motion pictures, the category of which this subject does not belong to. Even when I see a recently made cinematic accomplishment, I allow some time to pass so that a more comparative perspective can set in, past the immediate adrenaline rush. I just now witnessed a long scenario's conclusion and don't need more time to appraise its value. The only requirement from the viewer in order to fully appreciate its rare developmental qualities is that this tale be considered as one continuous narrative from start to finish. 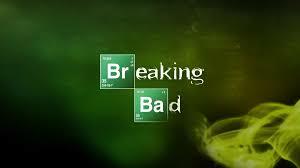 This transcendent masterpiece of storytelling is Breaking Bad. Perhaps the series' greatest artistic achievement, amongst many, is an unceasing ability to plumb the depth of its characters' souls. There are numerous fascinating details to consider. The multidimensional situations are so unique and ever changing they allow each one of the actors to respond in an emotionally deep, distinctive and profound way. Breaking Bad effortlessly manages to "shock and awe" us with its characters' behaviour while sacrificing none of their integrity, a nearly impossible feat. This results in the audience being drawn further and further in. Intense and conflicting emotional responses converge as we "cliff hang" on every moment. "What's going to happen next" is taken to the nth degree, far beyond what words like "anticipation" and "suspense" can convey. This series has also displayed a complete mastery of innovative storytelling techniques that go beyond anything television has ever produced and very few motion pictures have accomplished. Each and every scene comprising each and every episode seems masterfully thought out for maximum dramatic impact and custom made to be significant and integral to the whole journey, maturely crafted, unflinchingly bold and riveting. This is visionary storytelling of the highest order and without precedent.